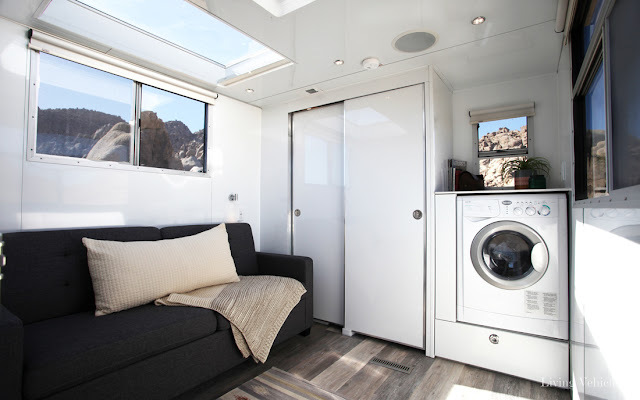 If you're looking to down-size without sacrificing luxury or modern features, the Living Vehicle may be just your thing. 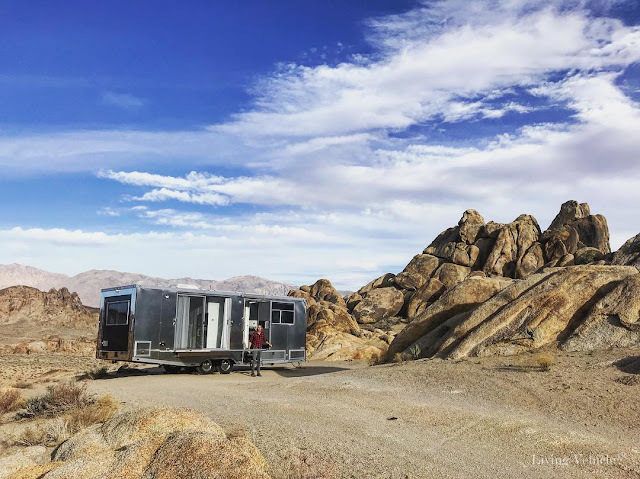 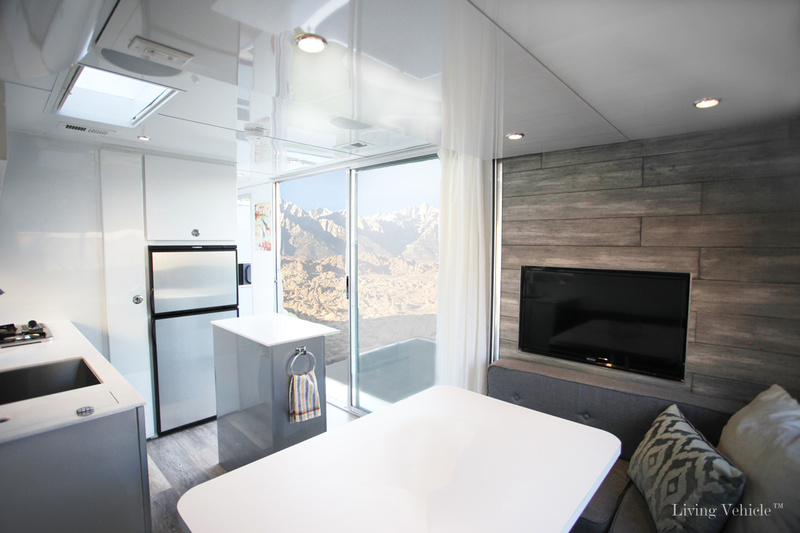 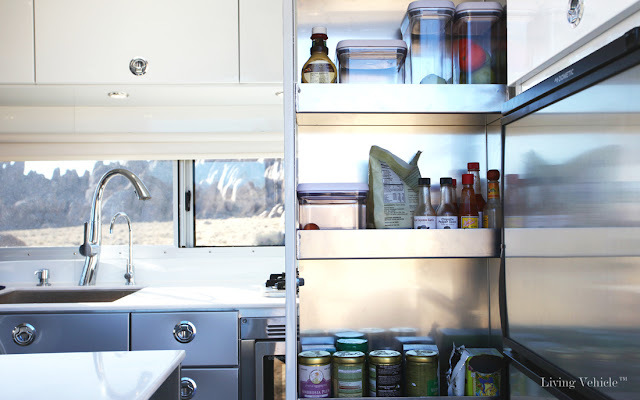 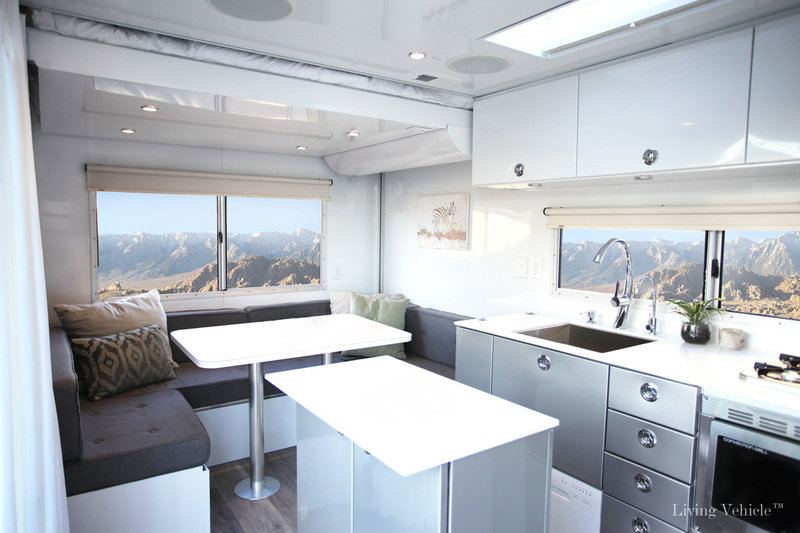 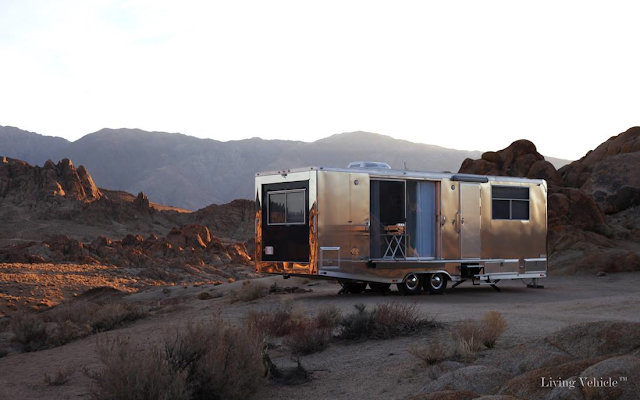 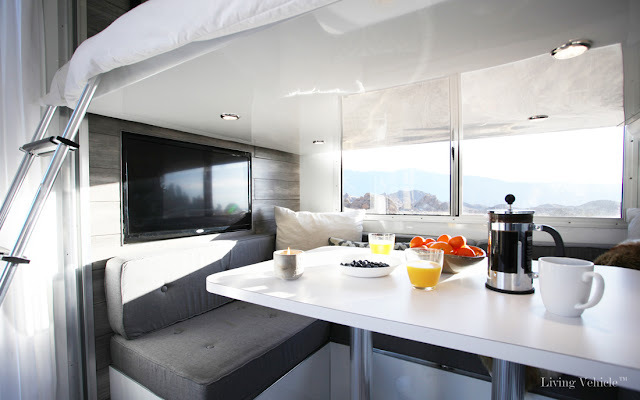 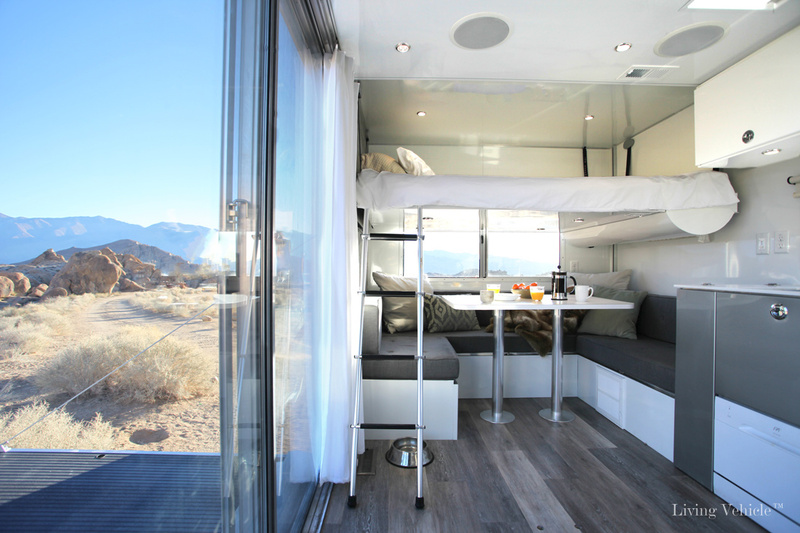 The home measures 30'11" x 8'4" and comes clad in an all-aluminum exterior (kinda reminds you of an Airstream, right?). Inside is a chef's kitchen with a stainless steel fridge and freezer, a two-burner cooktop, a moveable island, and even a trash chute! 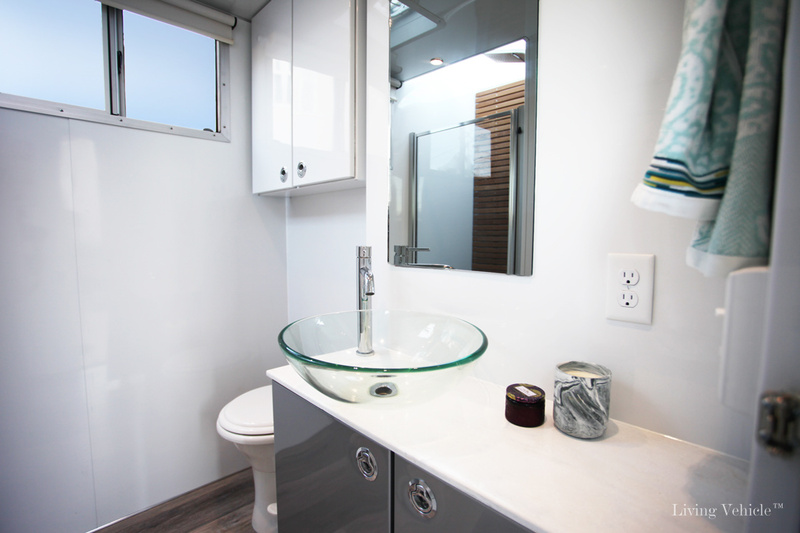 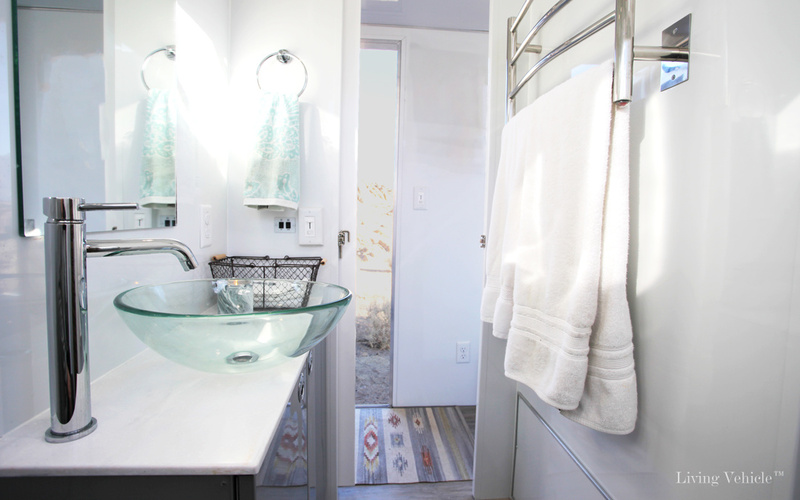 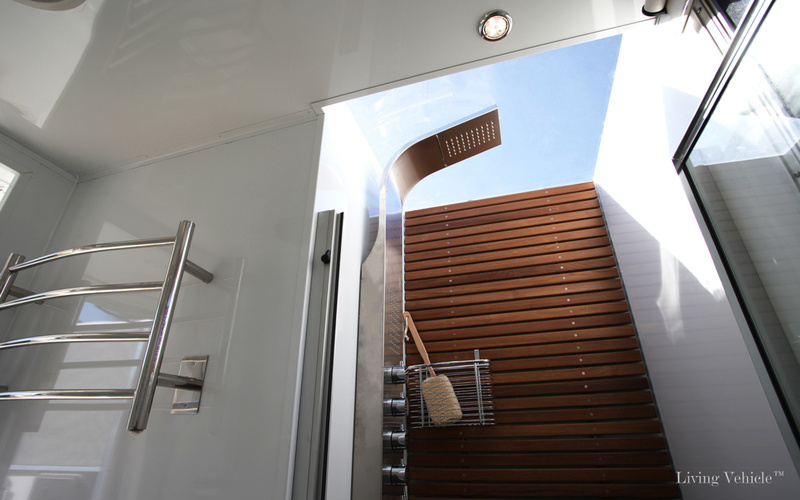 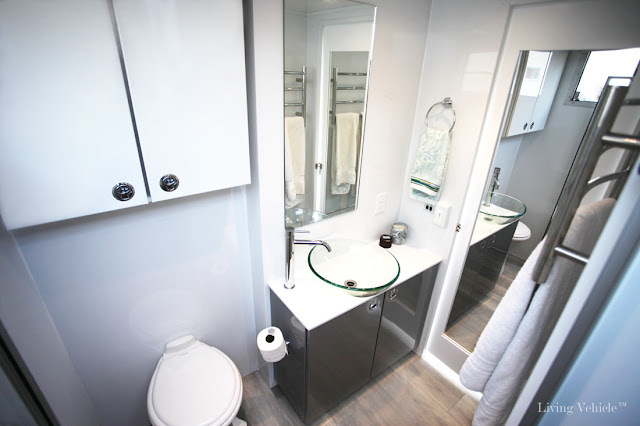 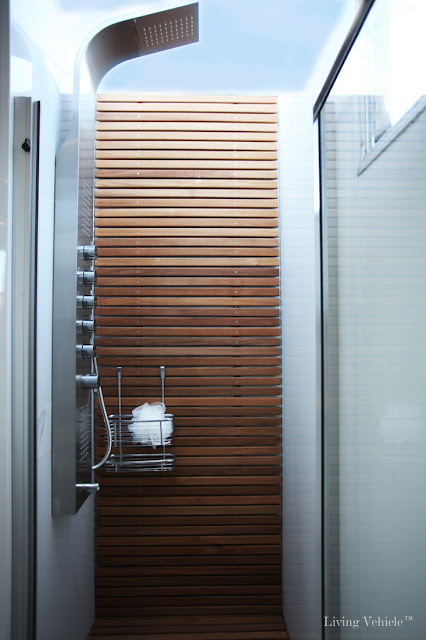 The luxe bathroom features spa-like amenities with a teak deck mat and a rain shower head. 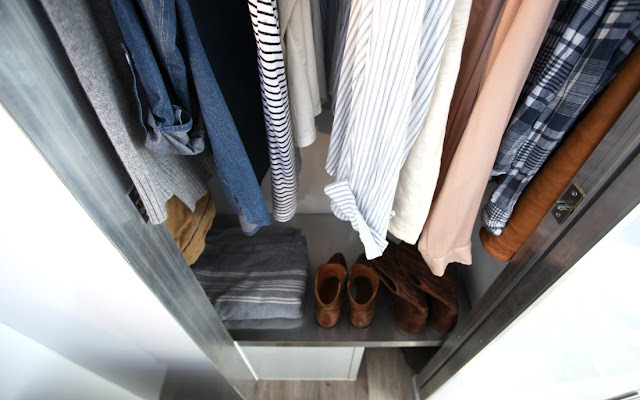 A comfortable bedroom is also available with a queen-sized bed, under-bed storage, a skylight, dresser, and closet. 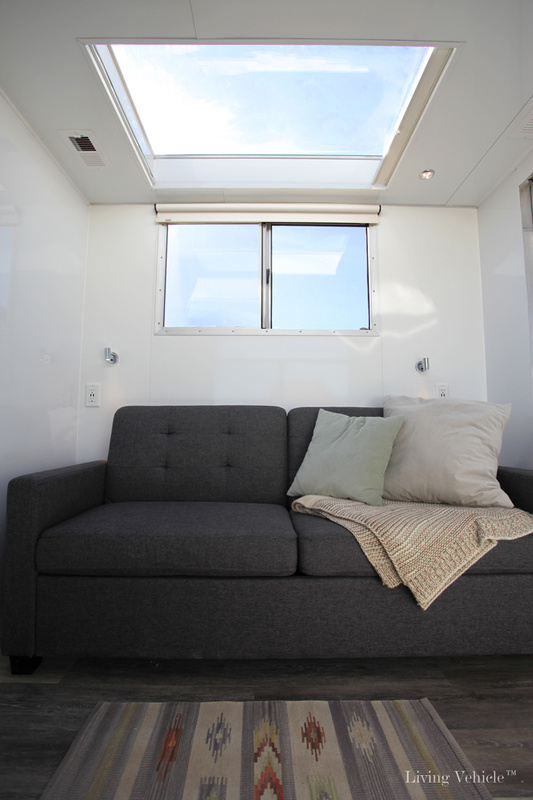 There's even a second bed, above the home's dining area, that can be lowered when needed. 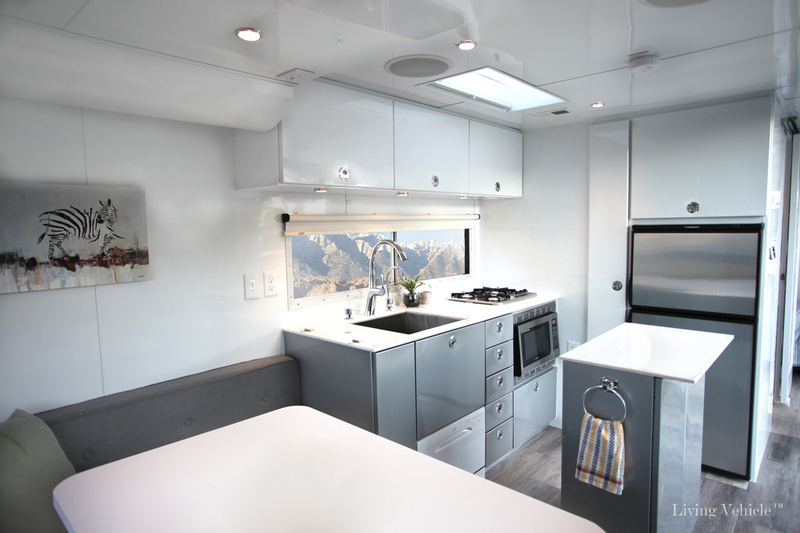 Some of the Living Vehicle's other cool features include a wireless security camera system and an outdoor gas-powered BBQ! 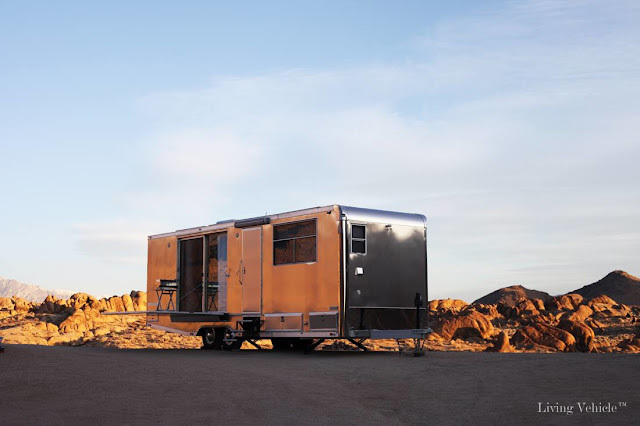 The Living Vehicle is sold out of Santa Barbra, California. 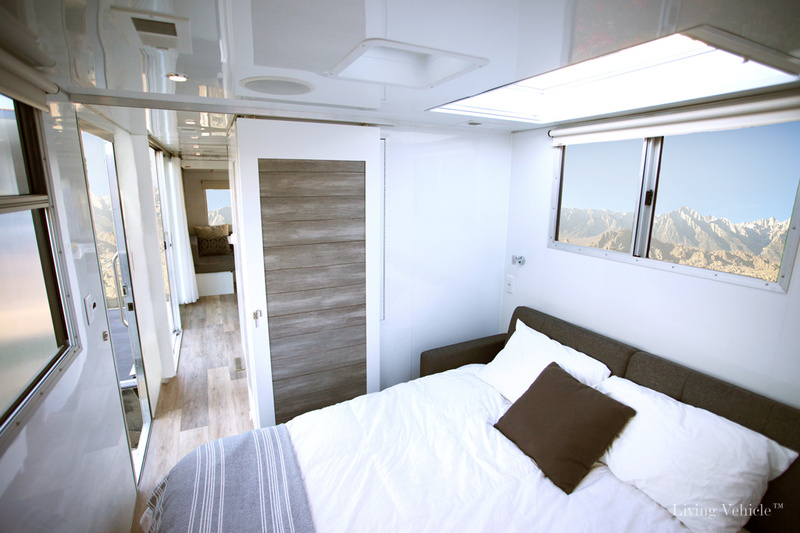 The pricing for its 2018 model is $149,995 and includes free shipping in the contiguous USA! 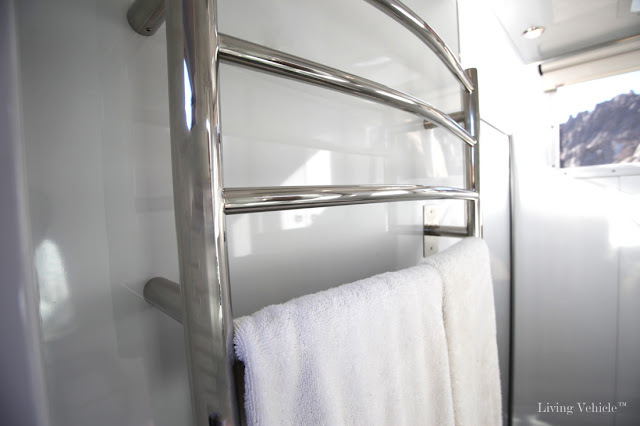 For more information and/or to order, contact the company here!